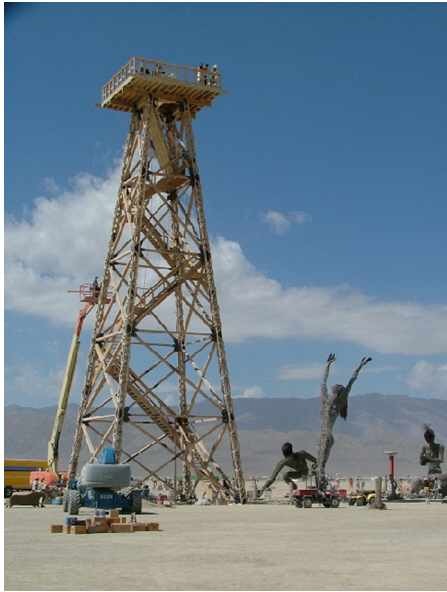 Every year, I don't go to burning man, which is sad, because the year I did go I had a blast, rednecks in helicopters aside. It could be compared to summer vacation as experienced by a child. Every day, wake up and do whatever, all day. Anyways, I saw a link on Big Gav's site and so of course I pass it on. If I don't make it back to burning man in the next few years, I expect Phoenix will be a year round stand in for burning man by 2015 or so, and might even have real mutants. Thats one event I regret I've never made it to (and I curse myself for not going to the one you went to as I was in San Francisco that weekend and was too lazy to head out into the desert).